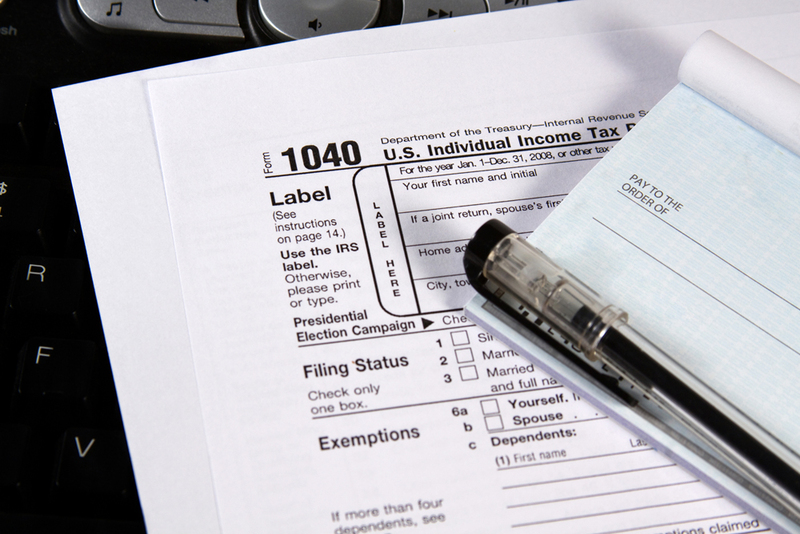 Most of us are all too familiar with the regular income tax calculation on Form 1040. But a somewhat lesser-known tax, the alternative minimum tax, or AMT, could end up giving you a larger tax bill. The AMT was designed initially to apply only to the very wealthiest taxpayers, but for many years now, this so-called "stealth tax" has ensnared millions of taxpayers at less rarified income levels. You could be one of them. The AMT runs on a track parallel to the regular tax computation. The difference is calculated on Form 6251 (Alternative Minimum Tax--Individuals). If your AMT calculation results in a higher tax, that's what you must pay. This isn't a straightforward process. The AMT computation involves various technical adjustments, subtraction of an exemption amount and application of the AMT tax rate. For 2017, the AMT rate is 26% on the first $187,800 of AMT income ($93,900 if married and filing separately) and 28% above that threshold. For your regular tax calculation, you add up all of your income, subtract deductions, and then apply the applicable tax rates. Then you can further offset what you owe with various credits. With the AMT, you don't include the standard deduction, personal exemptions or certain itemized deductions. Furthermore, some types of income, which aren't subject to regular tax, are added for AMT purposes. This can result in a higher tax under the AMT than you would have to pay with the regular tax. This list is not all-inclusive, but it gives you a good idea of items that may cause AMT liability. Typically, the AMT wipes out the tax benefits derived from some deductions. In particular, residents of states with a high income tax are vulnerable. The AMT exemption is based on your filing status and is indexed annually for inflation. For 2017, the exemption amount is $54,300 for single filers and heads of household, $84,500 for joint filers and qualifying widows or widowers, and $42,250 for married people filing separately. But that's not the end of the story. These exemption amounts are phased out for upper-income taxpayers. The phaseout is equal to 25 cents for each dollar of AMT income above an annual threshold. The threshold for 2017 is $120,700 for single filers and heads of household, $160,900 for joint filers and qualifying widows or widowers, and $84,500 for married people filing separately. Sell ISOs when you exercise them. If you do both, you'll be subject to regular tax on the income, but not the AMT. But if you exercise ISOs and don't sell them, you will have income for AMT purposes. Alternatively, you might postpone the exercise of ISOs until a later year. Seek reimbursement for employee business expenses. These expenses may be claimed as miscellaneous expense deductions, which are added back in the AMT calculation. In contrast, employer reimbursements are tax-free if they are properly accounted for. Adjust state income tax withholding. Try to pay just enough so you won't owe state income tax, but don't overpay. This will lower your state income tax deduction. Remember that this is frequently one of the adjustments triggering AMT liability. Don't prepay property taxes. In the same vein, avoid paying the property tax installment for next year at the end of this year. Keep your deduction for state and local taxes as low as possible. Watch out for private activity bonds. These bonds often are used to finance stadiums and similar ventures. Of course, you still can be caught up in the AMT despite your best intentions. Consult with a tax expert as how to best address your personal situation.